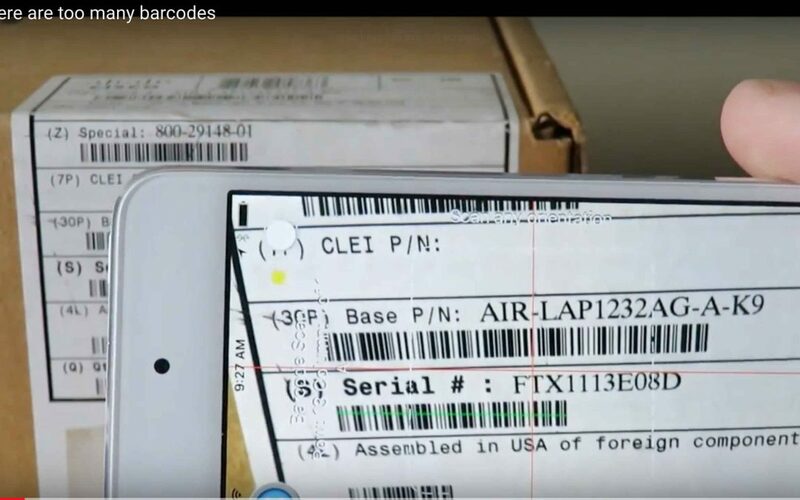 Is your barcode scanning app reading the wrong barcode? We don’t always have the best setup when we have to scan barcodes. That often leads up to a problem. What if you’re trying to scan a barcode, but there are so many in the way that your app is scanning the wrong one? Our CEO, Andy Berry, has put these handy solutions together for you. A. Change Settings: If you’re using Scan to Spreadsheet, you can go into Settings and tell the app what type of barcode you want it to scan. If you don’t know the different types, check out our blog post - A barcode is not a barcode, when there are so many different types. B. Use a low tech option: If you are scanning from labels or sheets that have all the same barcode type. The first barcode that comes into focus is the one that will be read by the phone. The simplest fix is super low tech! Take a thick piece of paper or a piece of cardboard and cut out a square in the size of your barcodes. Use that to put the barcode your scanning in focus. C. External Barcode Scanner: The last option is to add an external barcode scanner that uses a laser or narrow targeting beam. to see more on how to use an external barcode scanner with Scan to Spreadsheet, check out our YouTube video.